The crowbar is the perfect accessory for either crime or defense in modern, post-apocalyptic, and Steampunk LARP environments. 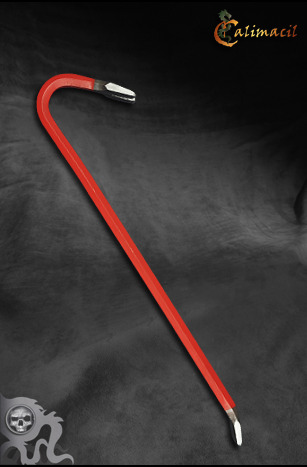 Made with a reinforced fiberglass core surrounded by soft foam, the crowbar is combat safe. Use this lightweight weapon to fend off zombies or mimic an illegal entry. The crowbar features a rusted metallic color on the frame with angled edges for a realistic look. Steel color tipped ends announce your arrival from a distance with this formidable weapon. Freeman is your true weapon of survival! At this time we have one all Steel crowbar in stock. If you want this one, please type "Steel Crowbar" into the COMMENT block on the first page of the Check-Out process.